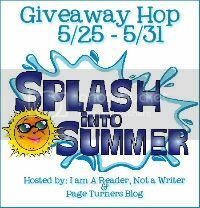 Tifferz & Her Sisterz Book Reviewz: Splash into Summer Giveaway!!!! Welcome to my giveaway! All you need to do is become a follower of my blog with Google Friend Connect (old and new followers welcome) and leave a comment with your email address to enter the giveaway! The contest is open May 25th and run till midnight on May 31st any and all comments after midnight will not be counted. The winner will be announced and receive the e-book via email on June 1st! 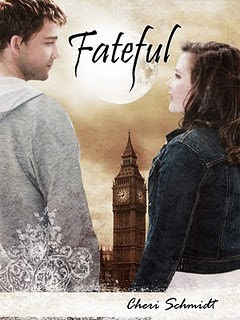 One random winner will receive a pdf e-book of :Fateful by Cheri Schmidt! Good Luck!! A huge fan of Jane Austin, Danielle hopes to find her own Mr. Darcy when she leaves Colorado to attend art school in London. Of course she knows it’s silly to wish for that, naive even. But she’s met enough males who lacked respect for women, a growing trend it seemed. And at nineteen...well.... However, on only her second night there she gets lost and is threatened by a stalker who proves to be immune to her martial arts training. Before she is completely overpowered, she is then saved by Ethan Deveroux. While Danielle does find the romance she seeks in Ethan, he’s no Mr. Darcy. Her hero is held by a spell which fractures their chance at a happy ending. During the day Ethan is closer to mortal than immortal and can date her like any other man. Yet, as the sun sets, the powerful magic of an ancient curse returns and the evil of that spell is revealed. When that magic begins, Danielle's fairytale romance ends because Ethan Deveroux is a vampire. Okay guys we have a Must read new author Cheri Schmidt. I can honestly say I love this book and can't wait till the next two come out! Yup we are lucky this is the first book in the three book series! I was quickly pulled into this story and loved every minute of it. Cheri is a very creative writer and knows how to tell a story. This book contains magic, vampires (good and evil) lots of passionate kissing (this is a clean romance), fairies, suspense and some unexpected twists! This book is for everyone. I really enjoyed how Cheri told a modern day story with an excellent plot and romance. You will not want to put this book down. Worth every penny. A must to own. I will be reading this one again very soon. As I can't seem to get the story out of my mind!!!! I am a new follower. Thanks for the giveaway, I have never heard of this book but it sounds awesome! sounds great...thanks for the giveaway!!! Love book giveaways! I'm now a follower. I've been following on google reader, but am anow a follower publicly on here. Thanks for the chance to win a great book! The book sounds great! thanks for the giveaway! I am a GFC follower. New gfc follower. Thanks for the giveaway. Thanks for an exciting giveaway- the book sounds great! GFC follower! Thanks for the giveaway! I've heard much about this book. Thanks bunches for the giveaway!! I would love to SPLASH INTO SUMMER with this ebook of Fateful. Great giveaway, thanks for the chance to win!! Thx for the giveaway! the book sounds very interesting and I am definitely putting it in my TBR pile! Thanks for the giveaway and for participating in this blog hop! I already follow via GFC (MamaHendo3). I'm a new follower. Thanks! This book sounds interesting :) Thanks for the giveaway!